Japanese automaker, Toyota has filed a new trademark filing to the United States Patent & Trademark Office on February 10 to secure the character mark ‘Supra’ – covering automobile and structural parts thereof. Toyota’s original application was submitted in 1979 which expired in 2006. 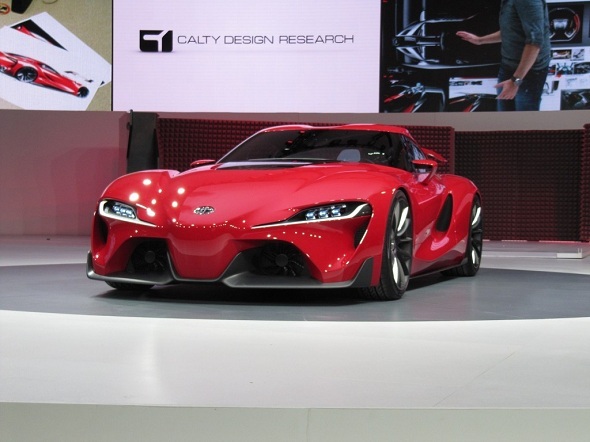 Toyota has confirmed that it is developing a new sports car platform with BMW. It pretty much gives away a hint that a new Supra is on the way. The new Supra may sit on top of the trio supercars which are a GT 86/FR-S and a smaller sports car below the 86 models priced lower than $20K. Chief Engineer Tetsuya Tada of the GT 86/FR-S fame is said to be the brains behind the new sports car. The FT-1 concept which was launched at the Detroit Auto Show last month could be an obvious inkling at what the new Toyota Supra may look like. An entry level model, powered by Toyota’s new turbocharged 2.0 liter four-cylinder debuting in the upcoming Lexus NX Crossover, and a range-topping hybrid model combining a 2.5 liter V6 with an electric motor combo developing more than 400 horsepower. Motoring sources claimed more details such as an equipped rear-wheel-drive, rear transaxle layout and a launch date of 2016. As for an entry level model is said to arrive a year later in 2017, with a hybrid drivetrain, pairing a 1.5 liter engine with an electric drive system. The question now is, how much of FT-1 concept will feature in the production version and how much will it end up costing for a consumer?